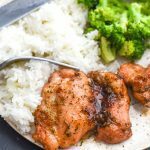 Bacon Wrapped Chicken Thighs cooked with brown sugar for that sweet and salty flavor combo we all love! 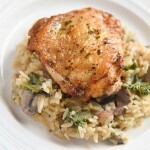 This chicken dinner cooks up in just 25 minutes. 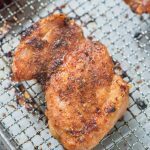 There’s nothing like the smell of bacon in the house, why not make for dinner, not just breakfast? 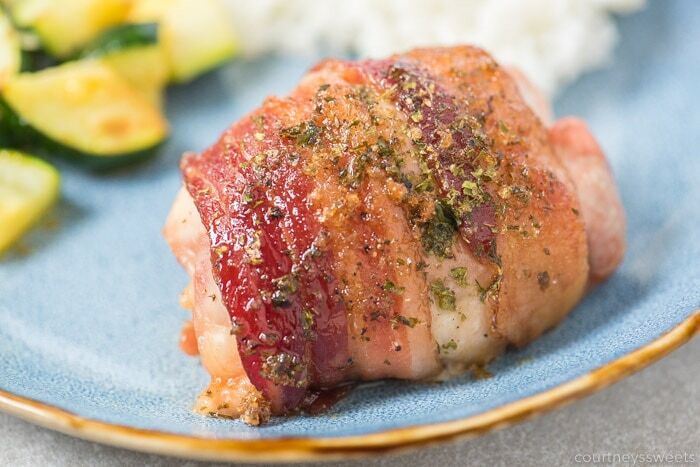 Our bacon wrapped chicken thighs recipe is a recipe the whole family loves. My daughter eats it first before eating anything else on the plate. Start by mixing up the seasonings and then season the chicken with 1/4 of the mixture. Then wrap the bacon around the chicken thighs. 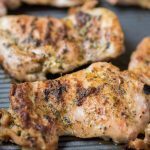 Season the chicken again with the remaining seasoning. The parsley gives it color and the garlic gives it a little more flavor than you’d get with just the other two. Both are equally delicious! We cook for 25-30 minutes. 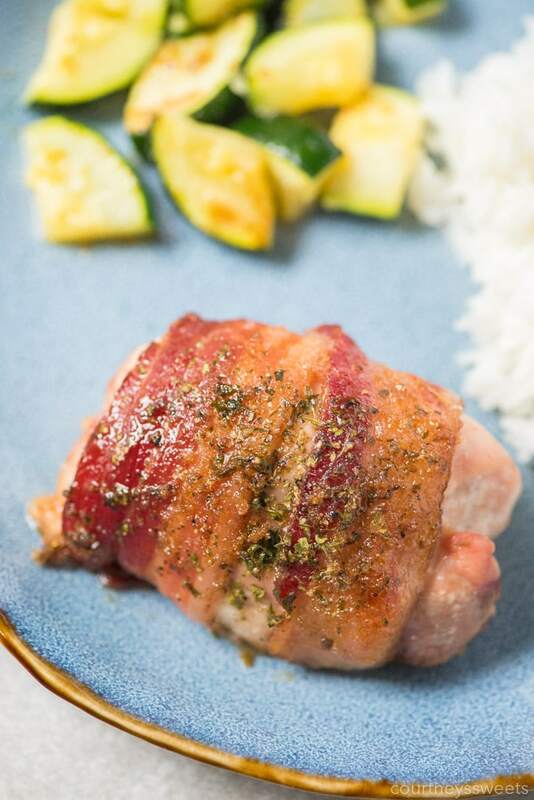 You’ll want to check the temperature in the thickest part of the chicken and make sure it reaches 165 degrees F.
What to serve with bacon wrapped chicken thighs? 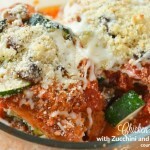 My family likes it with rice and roasted vegetables, like zucchini with a little garlic, olive oil, and salt. Keep it light since the main course has fattier proteins. You can easily pop into the microwave, but we prefer to reheat the leftovers in the oven so that the bacon gets crispy instead of soggy and chewy. 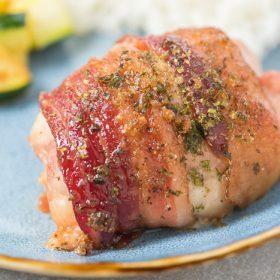 Bacon Wrapped Chicken Thighs cooked with brown sugar for that sweet and salty perfection. 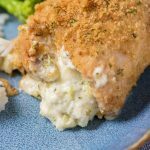 This chicken dinner cooks up in just 25 minutes! 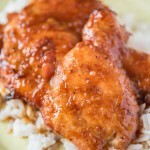 Start by seasoning the chicken with 1/4 of the brown sugar mixture. 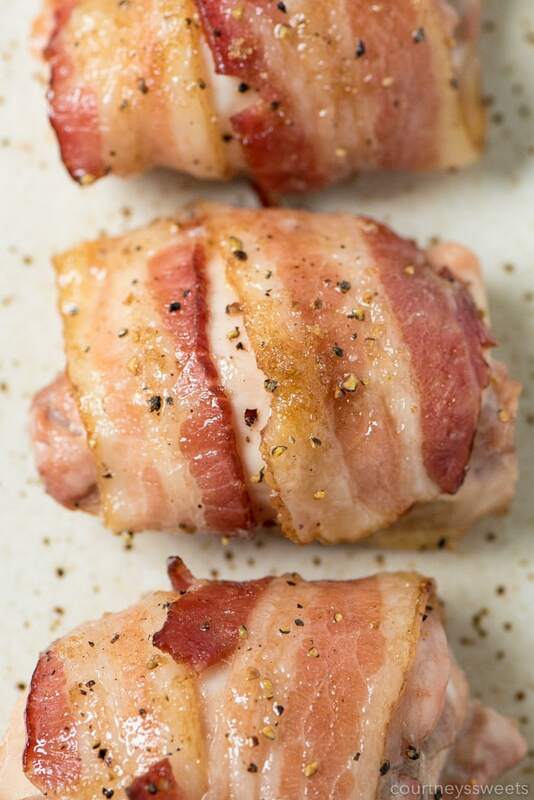 Wrap the chicken up in the bacon. 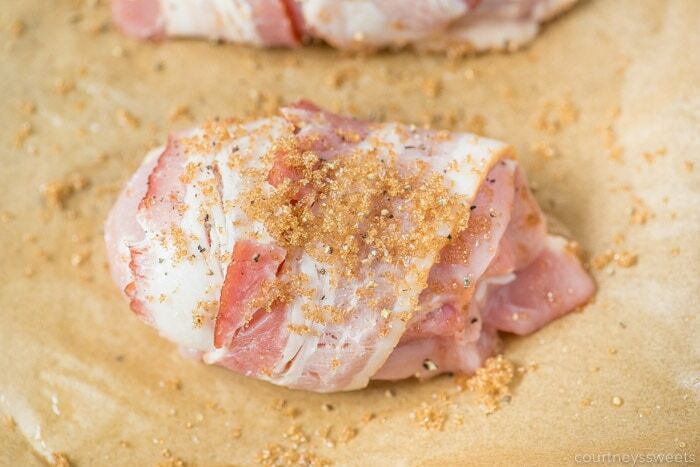 Season the bacon wrapped chicken thighs with brown sugar, salt, and pepper. 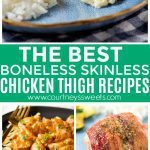 Bake for about 25 minutes or until the internal temperature of the chicken thighs reaches 165 degrees F.